At exactly 2:46pm today (JST) Millions of Japanese paused for a minute to reflect on the passing of a year since the first tremor of the Great East Japan Earthquake struck. It's been a year since Japan experienced a natural disaster that killed almost 16,000 people and placed 3,000 missing. 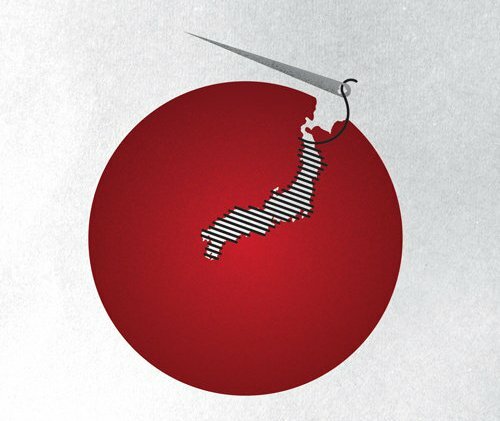 This is Japan's most challenging effort to rebuilt their economy since the end of World War II. And yet, the Japanese people did not lose hope. Even though their houses destroyed and their love ones killed, Japanese people gathered their strength and rebuild again. Their battle cry Ganbare Nihon (Hang on Japan) mirrored their perseverance to once again get up and try again. It's been a year since the tragedy, but Japan is still standing. Like I said before, God did not gave them this if they cannot handle it. To me, the tragedy became a wake up call, a limit breaker, to Japan to extend their efforts more in developing a much more productive country. Like Japan, we should not give up no matter what tragedy comes in our lives. As long as our body and spirit can do it, we will go on. This was such an inspiring thing. A friend of mine who offers custom dissertations service also lives in Japan and he is an inspiration for me for sure.